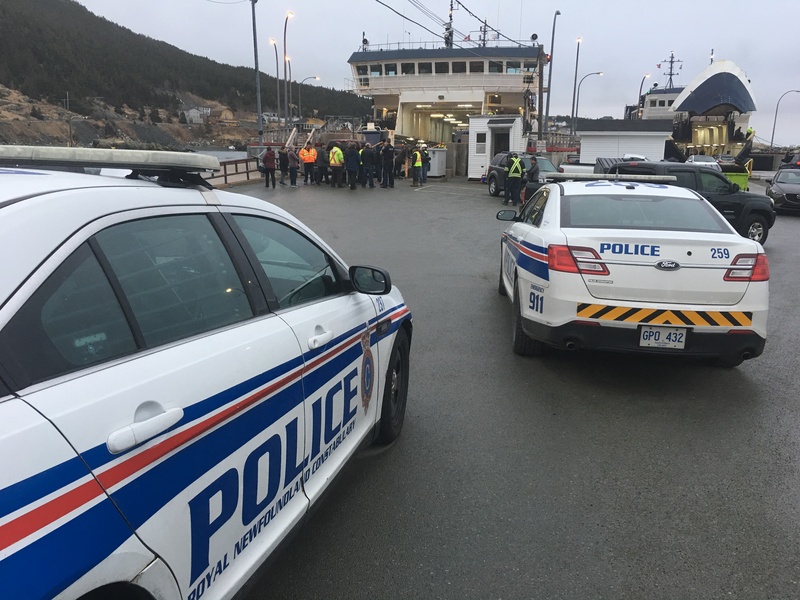 A group of commuters who use the Bell Island Ferry are protesting this evening. They have blocked the ramps to both ferries preventing the vessels from loading vehicles. The problem appears to be a provincial regulation that requires passengers to leave their vehicle once on board. There is a double amputee who travels back and forth three times a week for dialysis who is refusing to exit his vehicle. Many of the people gathered on the peir this evening are supporting the man. They say he is more comfortable staying in his vehicle. NTV News is tracking the story and will have more as it becomes available.